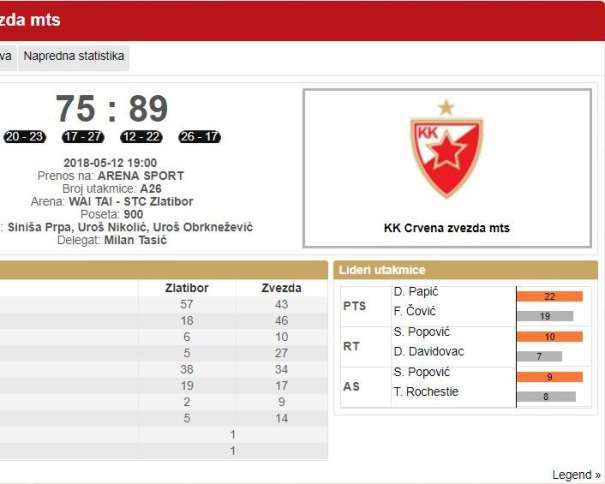 On the first day of the Round 9 in the Serbian Super League, Borac won 89 – 77 against Mega Bemax, Crvena Zvezda was better than Zlatibor with a score of 75 – 89 and Tamiš beat Mladost with a 21 points difference (102 – 81). In the game for the second place in the Group A, Borac managed to win in front of their own crowd. This was the second win in the league for the team from Čačak against Mega Bemax. 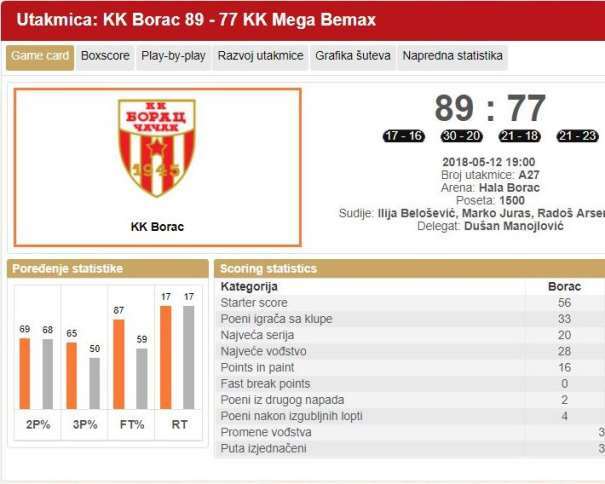 The maximum lead for Borac was 28 points. Also the guests had been leading during the game, and their maximum lead was 7 points. Both teams had 17 rebounds, so the home team managed to do what Zvezda couldn’t: not to allow Mega players to jump. The best scorer in Borac was Marko Stojadinović with 22 points, while the team captain, Marko Marinović, scored 18. Nikola Pešaković had 15 and Ilija Đoković finished the match with 11 points. 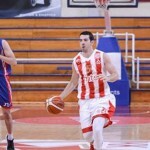 In Mega, three players scored 13 points each one (Luka Ašćerić, Ognjen Čarapić and Goga Bitadze), and other two, Aleksandar Lazić and Stefan Fundić, had 12 points. The Red and Whites remained at the first position in the group after beating Zlatibor, but their defense was a soft spot during the game. Zvezda had a scoring night but the squad played weak when defending their own basket. The good thing for the team from Belgrade was the fact that Pero Antić got back on the court after his injury. Now, the Macedonian player will be able to help his team in the Playoffs. Filip Čović and Alen Omić were the best scorers for Crven Zvezda. Both players finished the game with 19 points, while their teammate Ognjen Dobrić had the best index rating (20). He scored one point less than these two previously mentioned players. Dragoslav Papić had an excellent shooting night. He scored 22 points for Zlatibor (4 of 5 from 2 pointers, 3 of 6 from 3 pointers, and 5 of 5 from the free throw line). 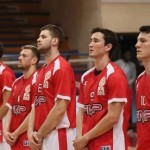 Svetozar Popović added 13 points and Mladen Pantić, 10. And, as it was in the rounds before, at least on team scored more than 100 points. Tamiš had that honour in the Round 9. On the other side was Mladost and the final score was 102 – 81. Mladen Vitković scored 26 points for Tamiš. Dušan Knežević added 15; Ivan Smiljanić, 13; Stefan Savić, 11; and Aleksandar Ilkić stopped at 10 points. On the other side, three players had more than 10 points. Dimitrije Nikolić was the best with 19, Vojin Svilar scored 16 and Božidar Babović had 11 points.